Second grade signed up for a rotation through the library as part of their Thanksgiving feast celebration on the day before our holiday break. Their request was to read the book Balloons Over Broadway by Melissa Sweet. If you’ve never read this book, it is amazing! The illustrations are filled with details that you can search through for hours and it is packed full of information while being very readable as a read aloud. While I love biographies, sometimes it is hard to read a biography aloud because of the length. Balloons Over Broadway is just right. Before we read the book, we looked at information about the Macy’s Thanksgiving Day Parade. Watching this parade has always been a part of my Thanksgiving tradition. I was very surprised to see how many students had never watched the parade or even heard of it. I was reminded of the importance of the picture book and how it brings out conversations that might never have happened without the sharing of a story. Some of our conversations included perseverance, immigration, failure, and growth mindset along with some other Thanksgiving traditions. @StacyFord77 that would be awesome to listen to. Such a great book. 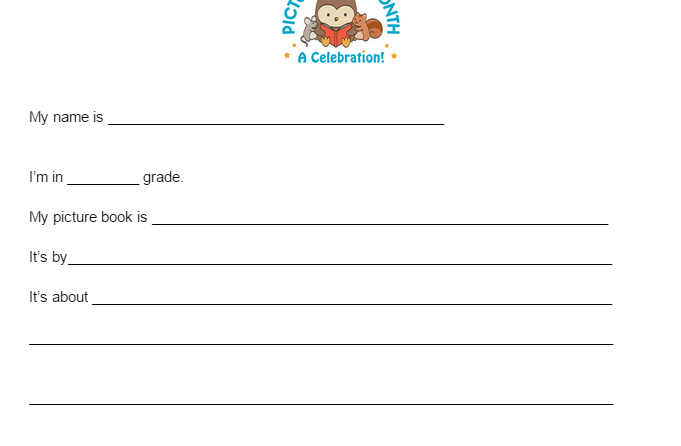 After we read the story, we used on of the pages out of the activity kit to design our own balloons. I loved watching what students came up with. Once they finished, they had the option of sharing their balloon on a Flipgrid. 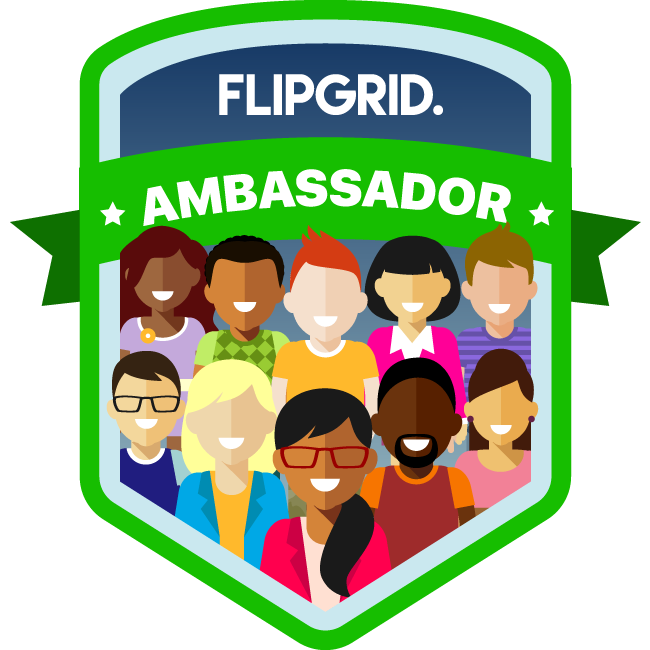 @plemmonsa @flipgrid Love this! 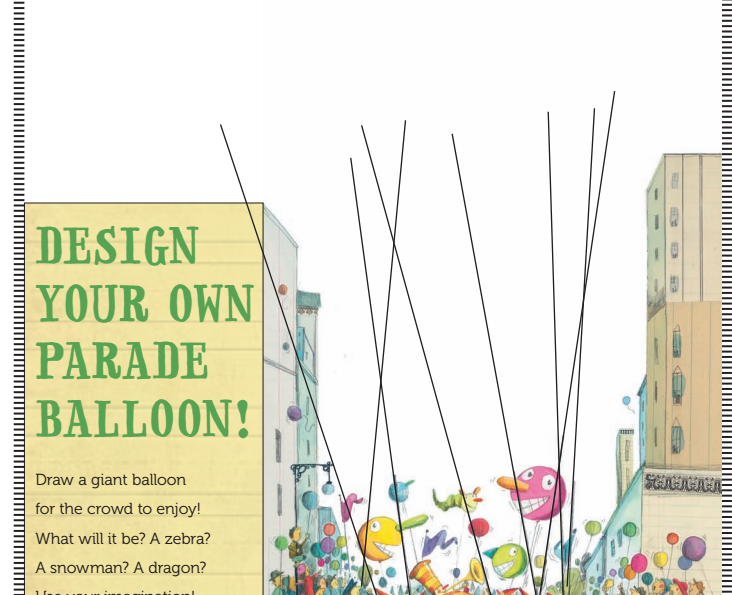 We just read Balloons Over Broadway – one of our favorite Thanksgiving reads. 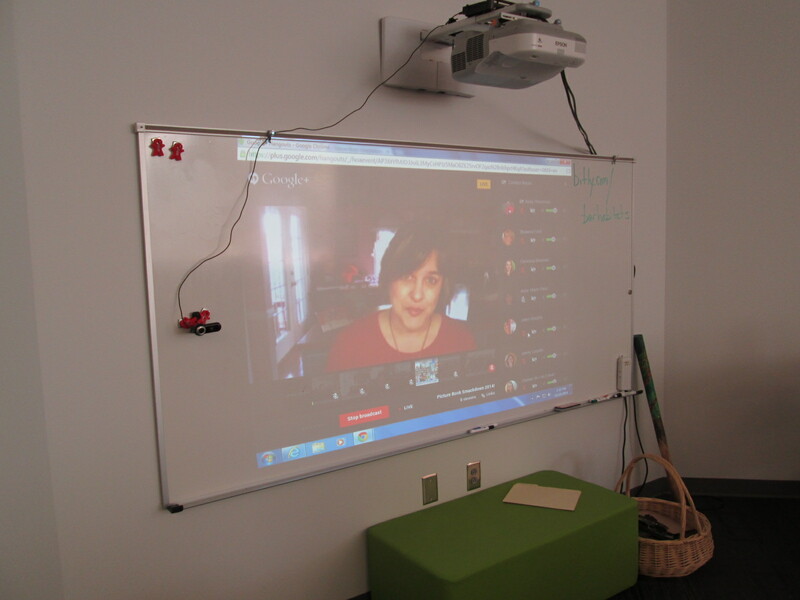 Students came up to the webcam on the projection board and I helped them click through the Flipgrid menus to take a picture and record. Then, students came up to type their name. I normally use the iPad app for Flipgrid, but this was a fast way of doing a lesson closing as students finished their coloring on their own time. Click here to see and here about their balloon designs! The book also made me think ahead. Last year in 2nd grade, we did a great project with the force and motion standards in science where students investigated Rube Goldberg and made their own inventions. 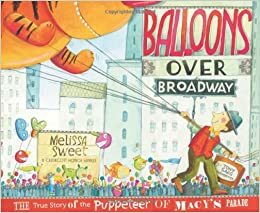 Balloons Over Broadway was a perfect introduction to the idea of tinkering and using everyday objects and simple machines to take mundane tasks and make them interesting. I want to revisit the opening pages of the book where Tony Sarg invents a way t feed the chickens when we do the simple machine project later this year. I also thought about the Hour of Code and how that event brought about so many conversations about failure and perseverance. This book would be a great example to share ahead of Hour of Code to think about a growth mindset and prep students for the failure that comes with coding and how you handle that failure as a learning experience. Who knew that so many thoughts would come about from a simple request to read a story. 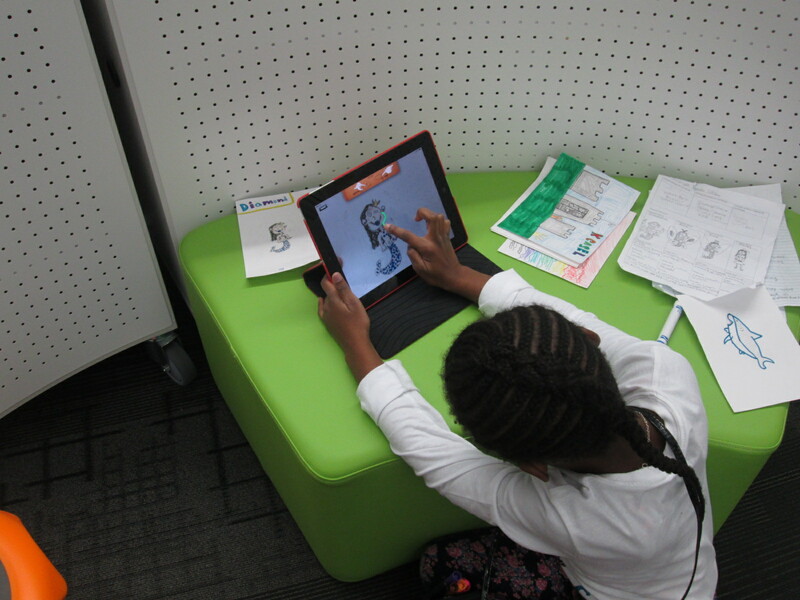 A few weeks ago, I introduced the iPad app, Puppet Pals, to 3rd grade through a tinkering lesson connected with an author study. 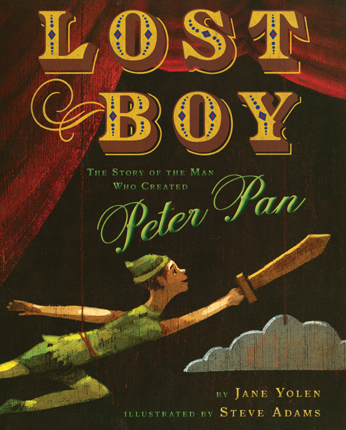 After that lesson, the teachers and I started planning an extension of their folktale unit using this app. 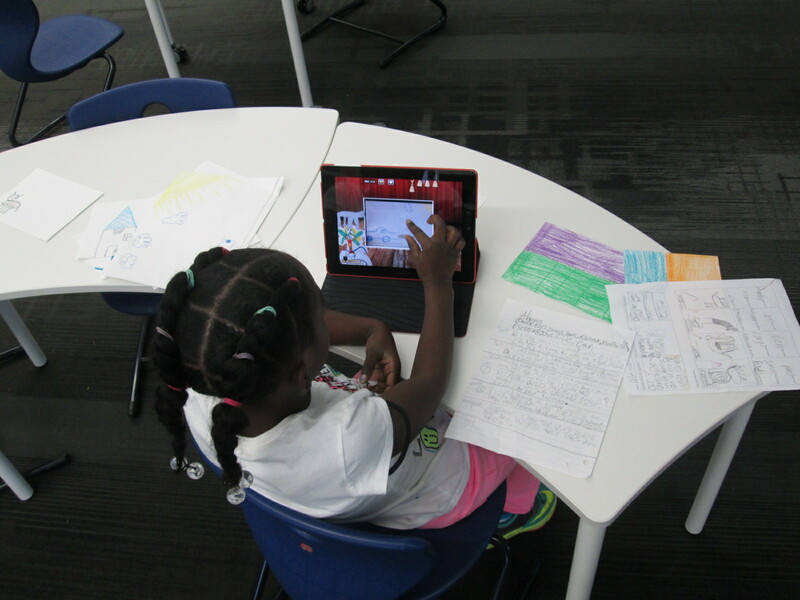 Each class chose a folktale to read multiple version of such as Cinderella, Goldilocks, Three Little Pigs, etc. 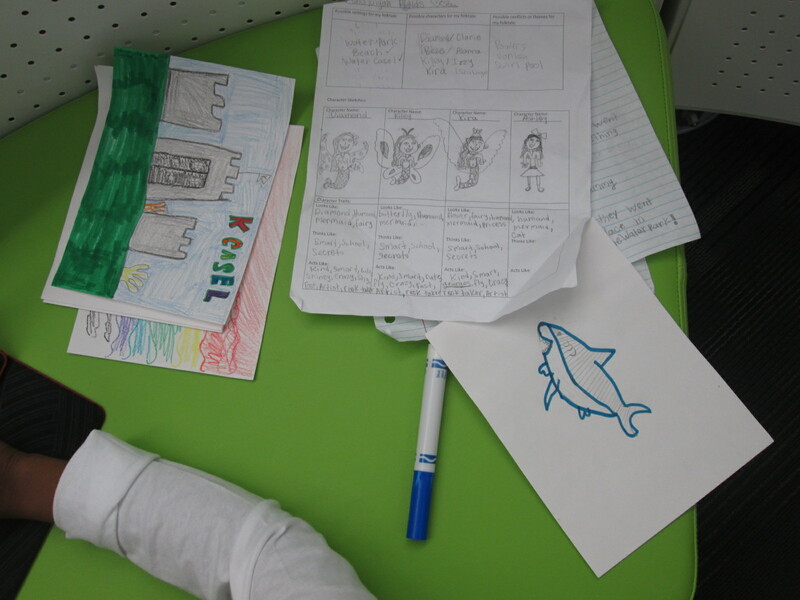 Then, students wrote their own story using some of the elements that they had noticed in their study of folktales. In art, students designed characters and settings for the stories that they wrote in writing time. Puppet Pals HD is a free app, but if you upgrade the app for $4.99, you have access to so many more features. 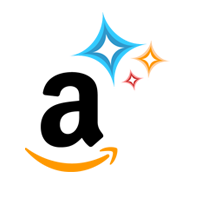 My favorite feature is the ability to take photographs of anything and turn it into a character or a setting for your story. 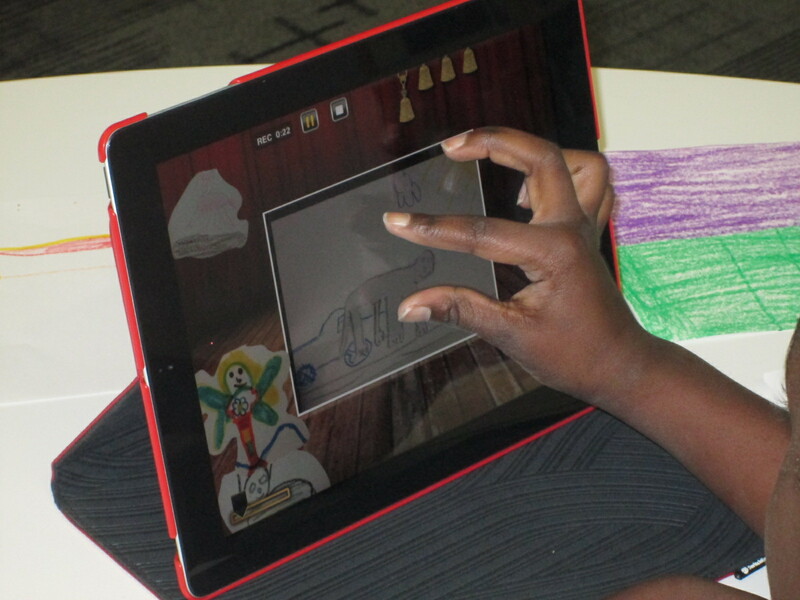 Students used their artwork from art to create the characters and settings in the app. 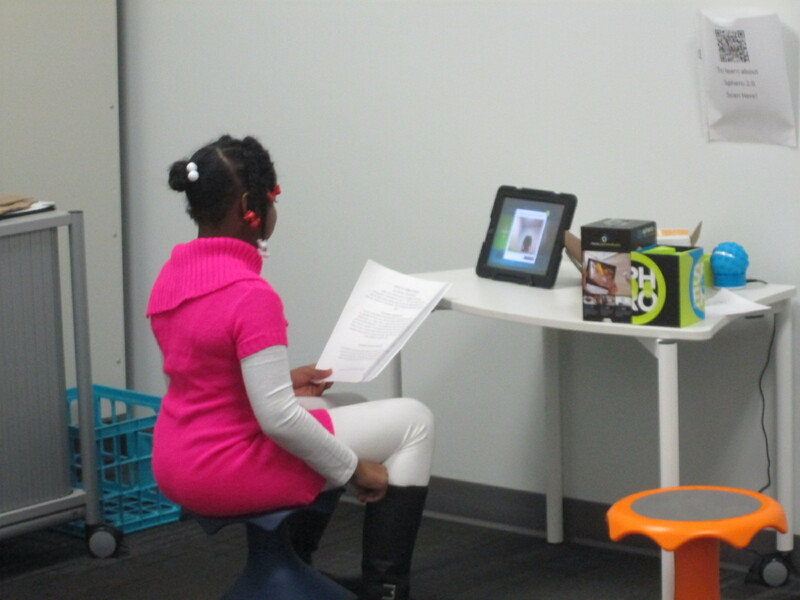 From there, students took their script and recorded their folktales. Some students had multiple characters and settings, so it was nice that they could pause the recording to switch out settings or characters. 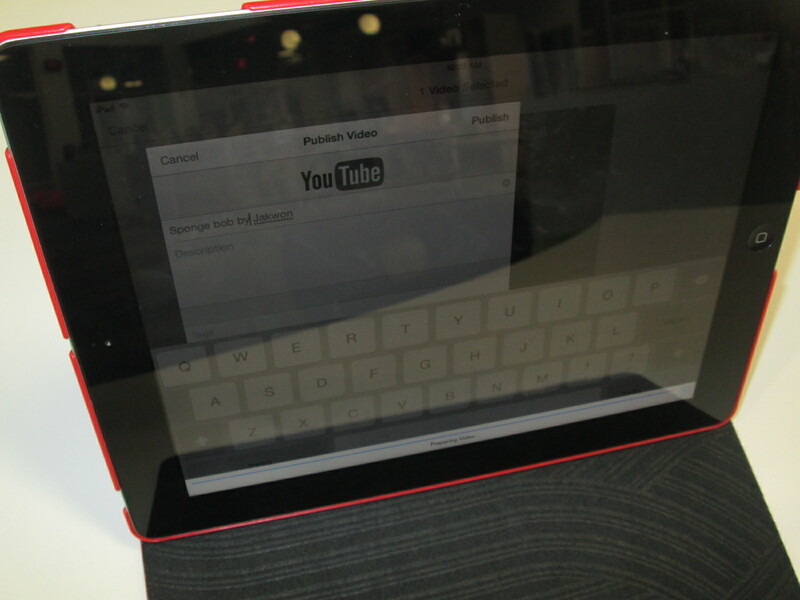 Once the recordings were done, we exported them to the camera roll and uploaded them to Youtube. The app does allow you to name each story, but it doesn’t transfer the name into the camera roll. I wish we had done the Youtube upload as part of recording because I couldn’t tell which story belonged to which student. For now, all of the stories are just called “Puppet Pals” in Youtube. We’ll go back later and add the student titles and names. 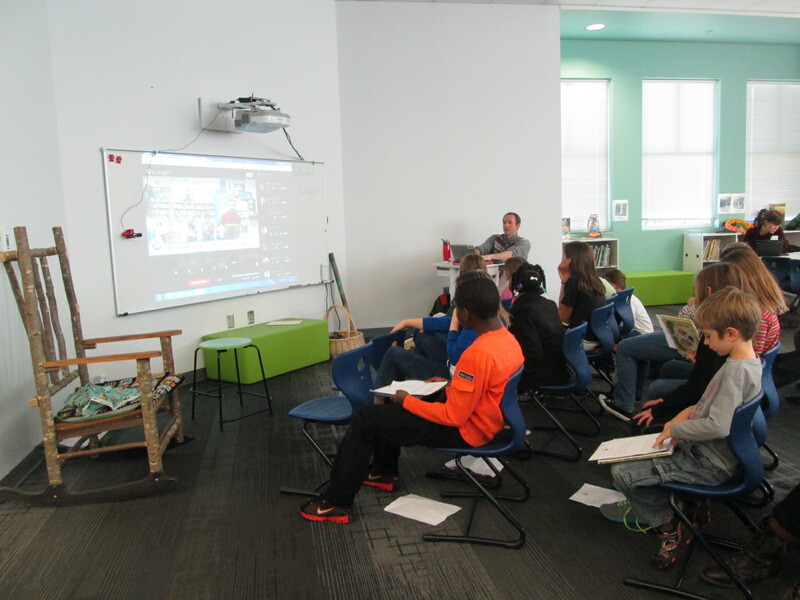 Our 2014 Picture Book Smackdown was a huge success. 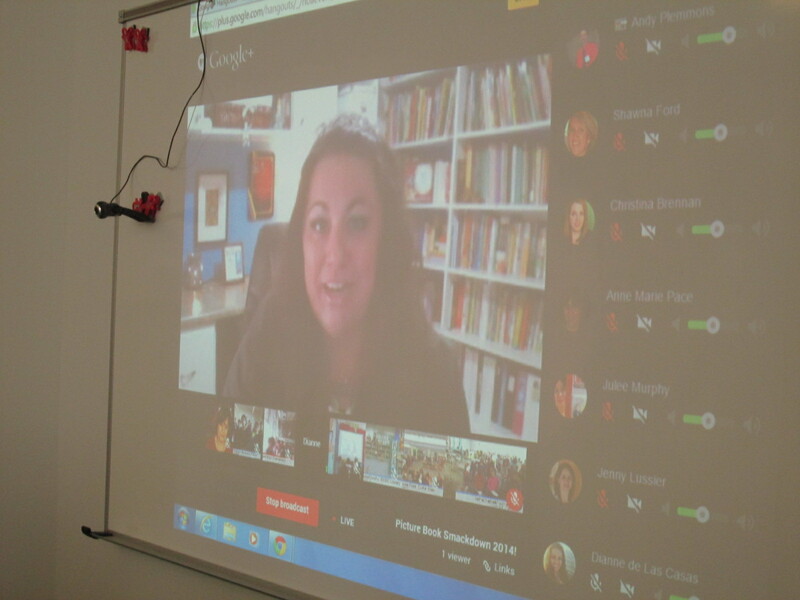 Students in 5 states including Georgia, Texas, Connecticut, Maine, and Pennsylvania shared their favorite picture books along with 2 amazing authors, Dianne de Las Casas and Anne Marie Pace. Anytime you host an event like this, you worry about technical difficulties. However, today the internet gave us smooth sailing. I do want to take a moment to uncover some of the pieces that went into making this event successful. There was a lot of preparation that went on behind the scenes. I created our Google Plus Hangout on Air event page well in advance so that we could advertise our smackdown to all of our networks. Going to be a busy day! 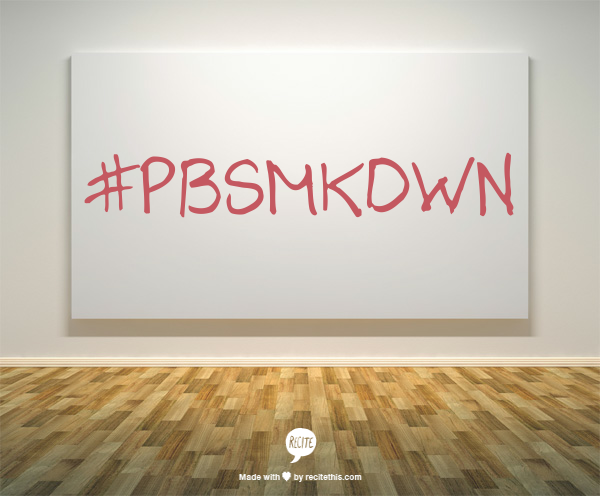 Excited to participate in #pbsmkdwn with @JuleeMurphy @plemmonsa @cppotter @jluss @christybrenn! 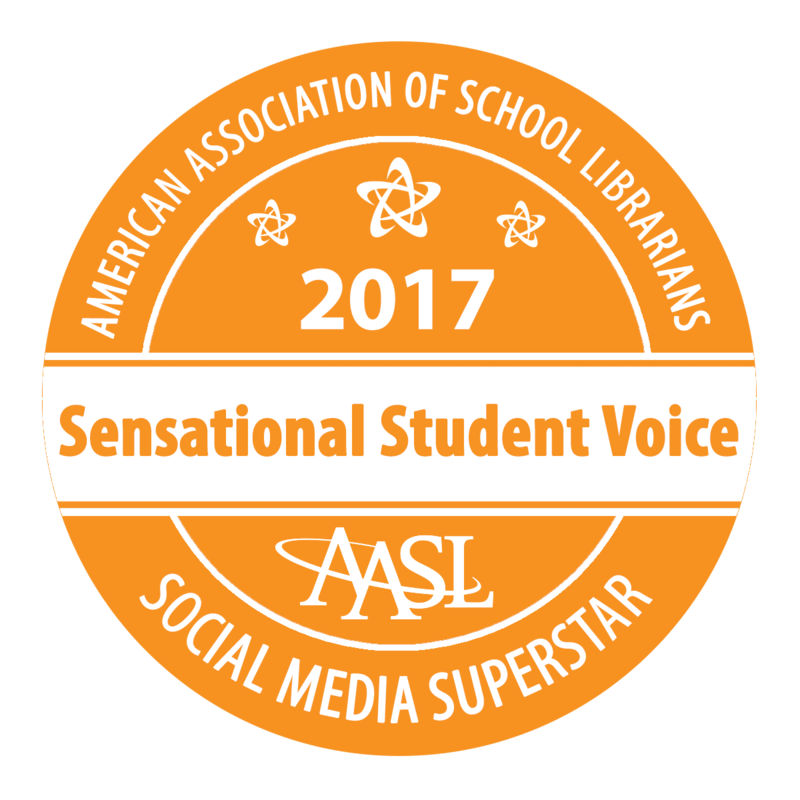 All of the authors and participating schools have been communicating with one another via email, twitter, and a shared Google doc. The doc contained tips for making the hangout run smoothly such as keeping our microphones muted unless we were speaking as well as listed the order that we would speak. All of the participating schools had students prepare in advance. 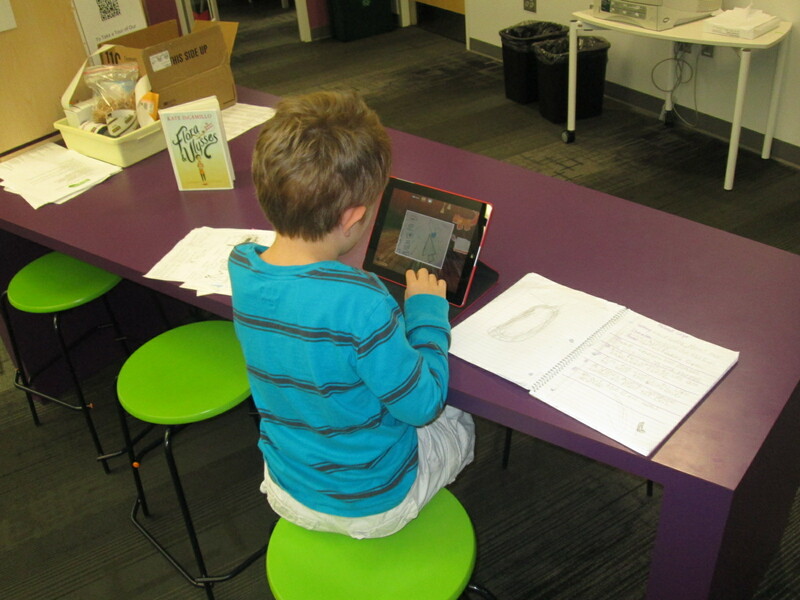 Many of our students wrote our scripts or memorized a brief blurb about their books. 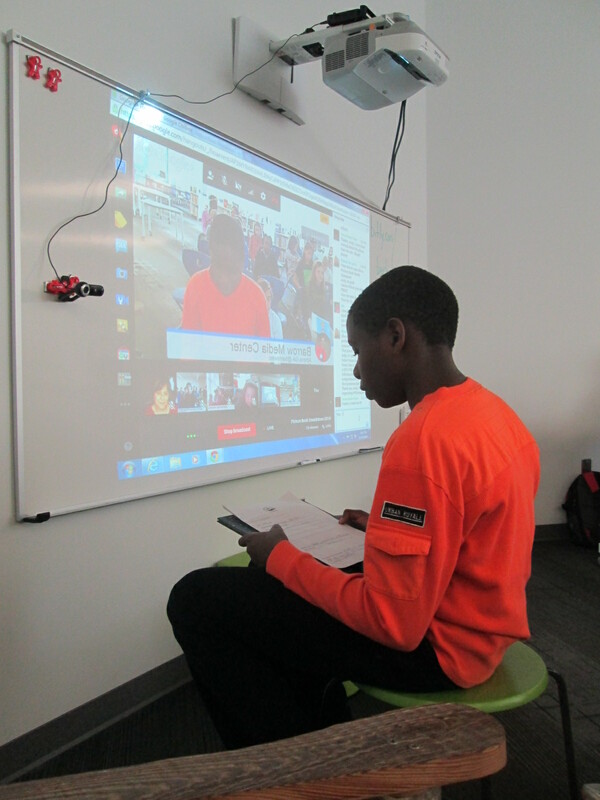 Some of us hosted a practice for our students to run through their talks. We opened the hangout well in advance so that we could test our microphones as needed. 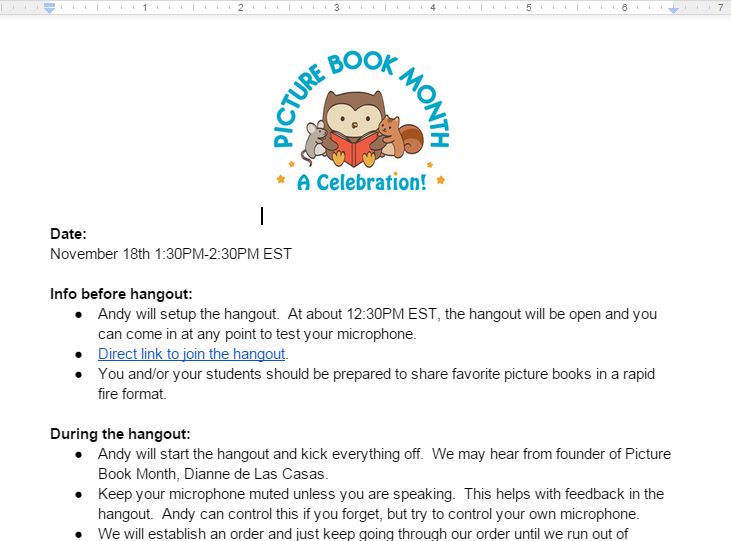 I sent everyone a direct link to join the hangout rather than sending everyone a G+ invite. Many of us had organization to how our students came up to the microphone. For example, I setup my chairs in groups of 3 so that students were already sitting in the groups of 3 that would come up to the microphone. Some of us had helpers who were assisting us behind the scenes. I recruited a parent volunteer, a UGA student, and UGA teacher to help me. 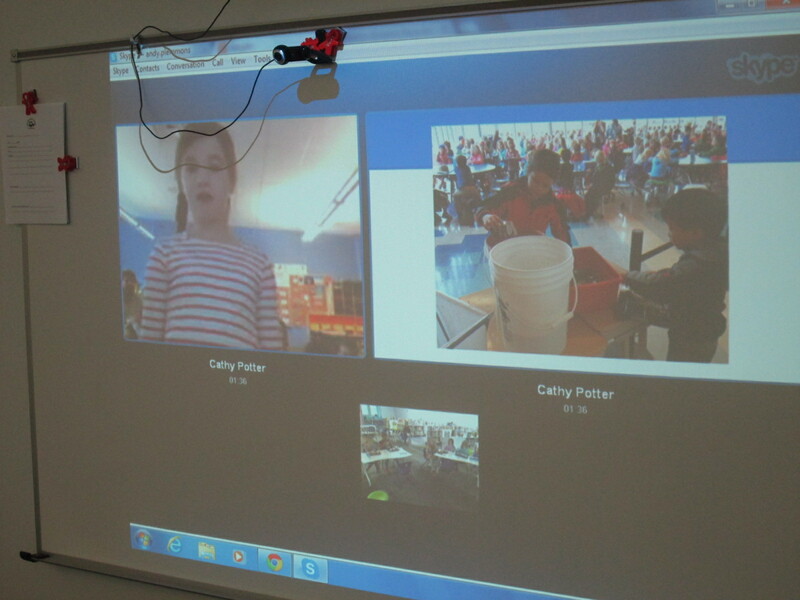 The parent volunteer took pictures and assisted students to the microphone. 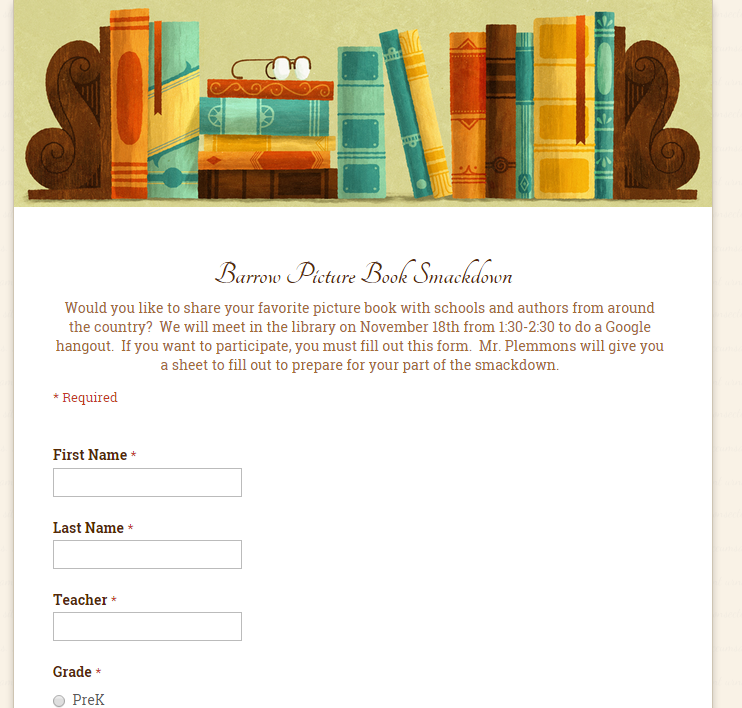 The UGA teacher created a Google doc of all of the picture books that were shared during the event. The UGA student helped students to the microphone. Since I was in charge of the hangout, I wanted to be able to focus on the technology and supporting any issues that came up with our event. 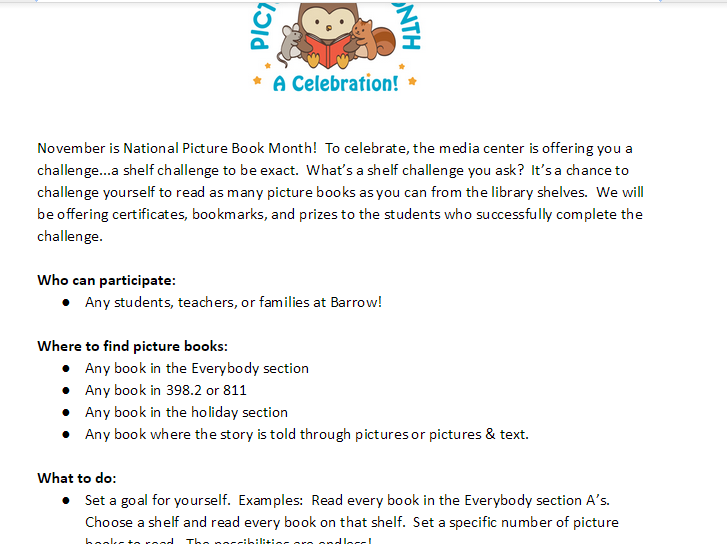 I have @ilovethisclass creating a list of all of the picture books that are shared during #pbsmkdwn Thank you! On the blog later. As we had time, we tweet pictures or publicity about the event while it was happening. I hope that you will take time to listen to the archive because it truly was miraculous. We heard from Dianne de Las Casas about why Picture Book Month was started and it was amazing to see how many authors and illustrators she has recruited to be picture book champions. We also heard Dianne de Las Casas and Anne Marie Pace share some of their favorite picture books. I wish we could have heard more from them, but they were gracious enough to step aside so that students could voice their love for so many wonderful books. We heard titles, authors, and summaries. 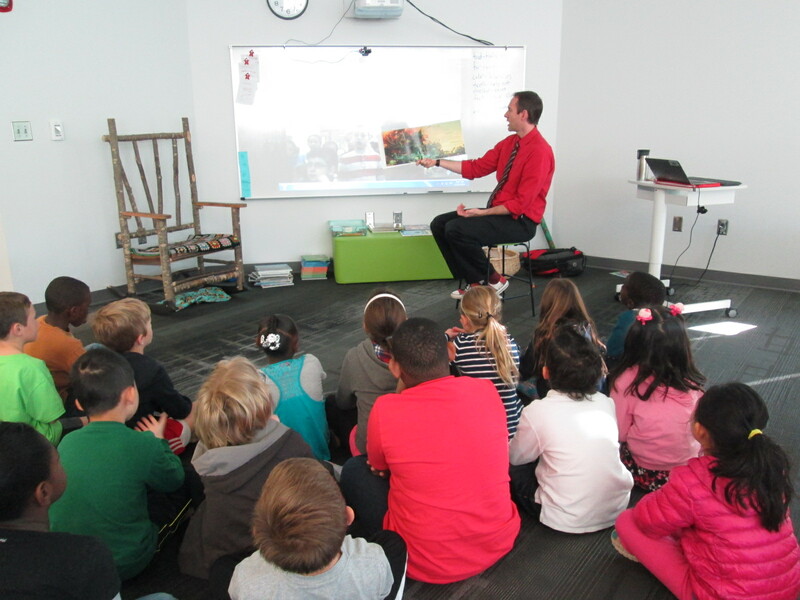 One of my favorite things to hear from students was why picture books matter in our world. 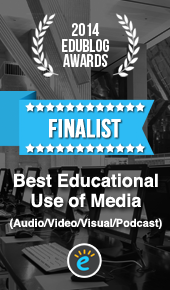 To hear their own reasoning about why picture books matter was truly inspiring. 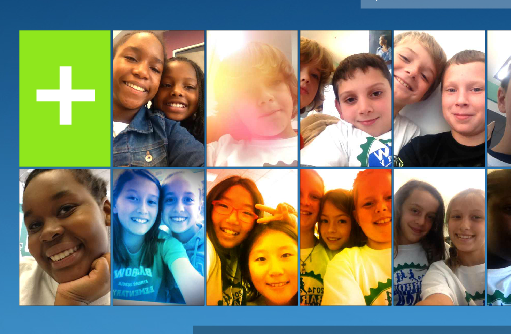 I’m in a #PBSmkDwn w schools from around the country! 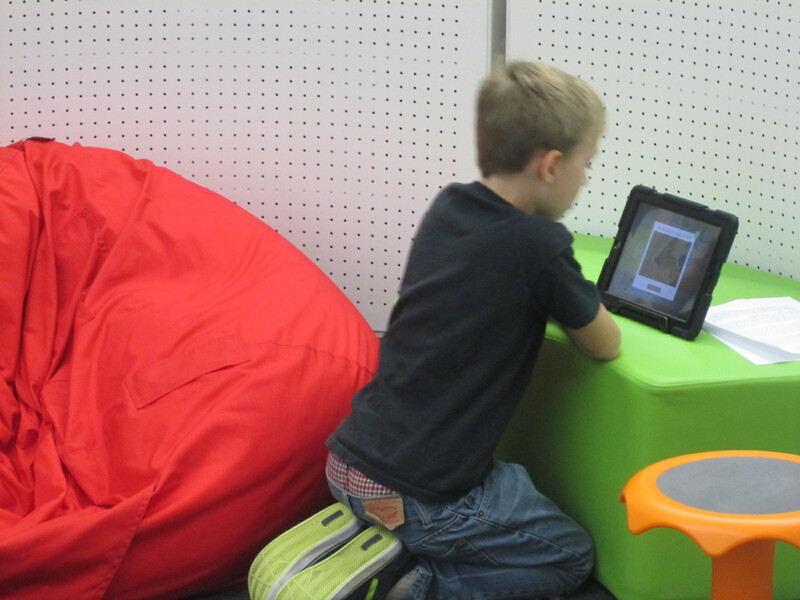 #PictureBookMonth http://t.co/FLOJL18YfY FUN! #PBSmkDwn is so much fun! Two girls from Maine love BLUEBERRIES FOR SAL, just as my kids and I do! Click here to see a full list of the picture books that were shared during the 2014 Picture Book Smackdown. 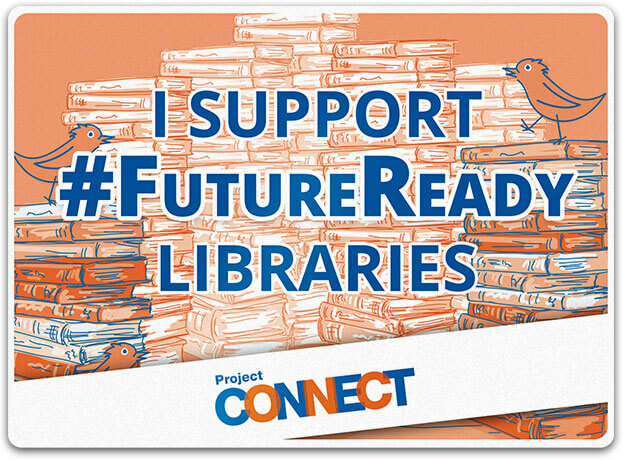 I would like to take a moment to thank our participating author, librarians, and schools for the 2014 Picture Book Smackdown. This will definitely be an annual event for me, and I encourage you to think about how you might host your own event like this to get kids connected and sharing their passions and interests. 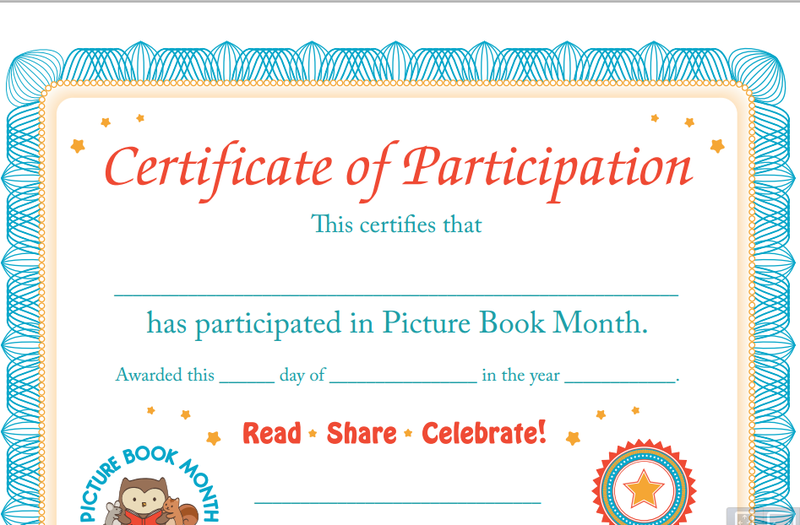 Happy Picture Book Month! Last year, we were honored to have Barbara Walsh, author of The Poppy Lady, visit our school and share her book about Moina Michael’s vision for honoring veterans with the poppy. Now, last year’s fourth graders that attended that visit are in the 5th grade. They are about to host several veterans at our school for Veteran’s Day on Tuesday. 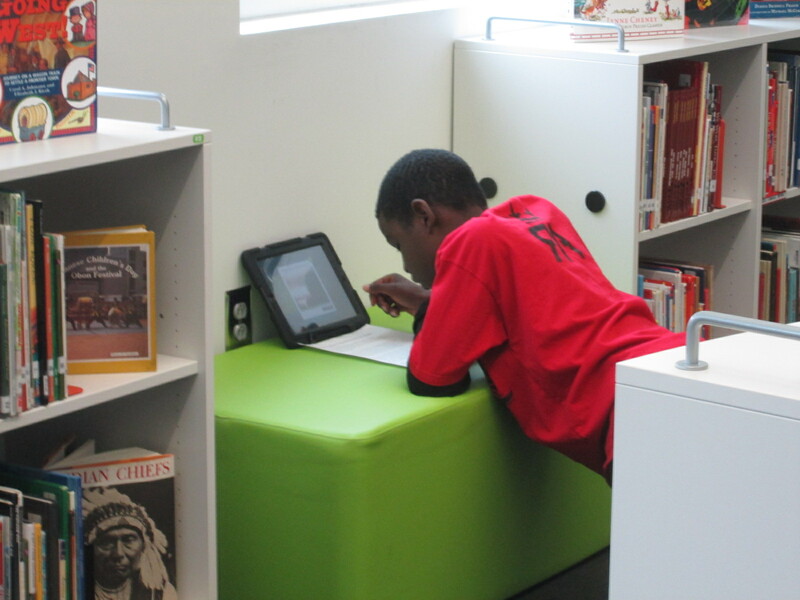 To prepare for our luncheon, the 5th grade classes each came to the library. We read The Poppy Lady again. 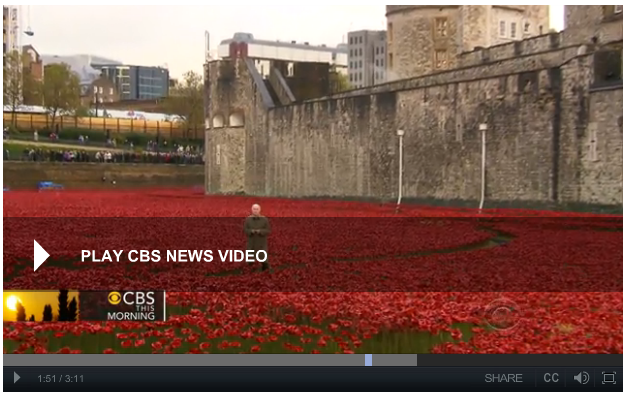 We also watched a video from CBS news. The video gave the students some great context on why the poppy is so important and what it really symbolizes. This paired nicely with the advocacy story of Moina Michael. We also had a great discussion about the importance of honoring veterans and what students might ask when they sit at a table with a veteran. They brainstormed questions/statements like: “Tell me more about your time of service”, “What division of the military did you serve in”, “What were some of your biggest challenges in the military”, etc. 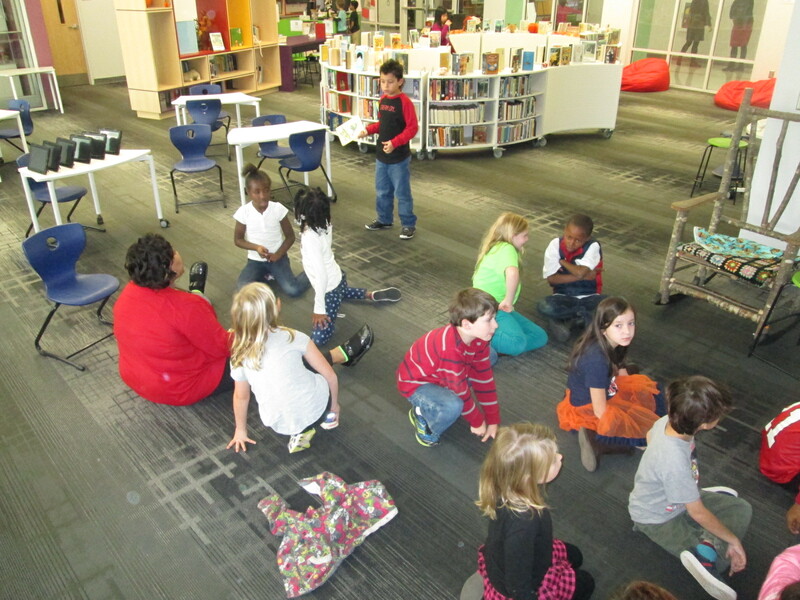 Then, students took time to visit 2 centers in the library. I setup multiple iPads as a Flipgrid recording station. 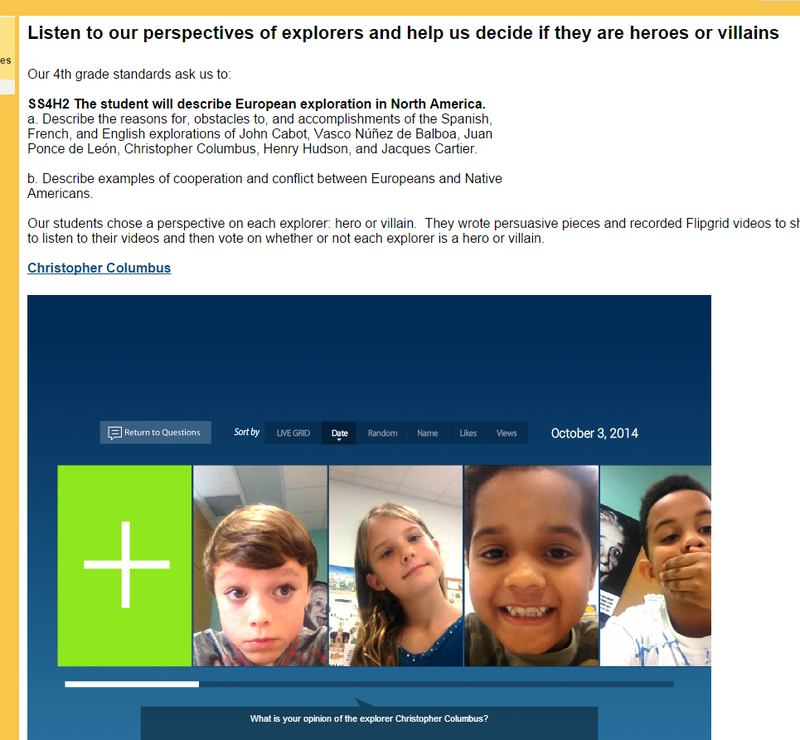 With Flipgrid, students reflected on how we could continue to honor veterans just like the poppy lady did. 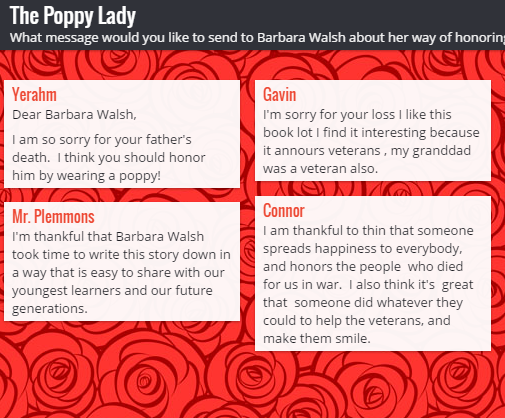 The 2nd station was a padlet where students could send messages to author Barbara Walsh about their appreciation for honoring the work of Moina Michael. 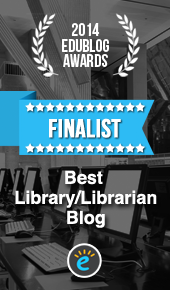 I pulled the site up on both projection screens and three other computers in the library for students to visit. Now the 5th graders will continue to work on poems, artwork, letters, and speeches for Tuesday’s luncheon. During the luncheon, they will sit with veterans and have meaningful conversations. I hope that they will take time to bring up the Poppy Lady while they talk.